A song activity based on the famous song of Wham, covered by Taylor Swift. There are several exercises, during the listen there are gaps to fill in past tense, multiple choices, then after they have to find specific verb tenses in the lyrics, find the meaning of some words/expressions, and discuss a couple of expressions. I hope you like it! Happy holidays!!! This downloadable worksheet was created for high school students, elementary school students and adults at Elementary (A1), Pre-intermediate (A2) and Intermediate (B1) level. It is a useful material for consolidating Past simple tense and Verb tenses in English, and is useful for working on your pupils' Listening skills. 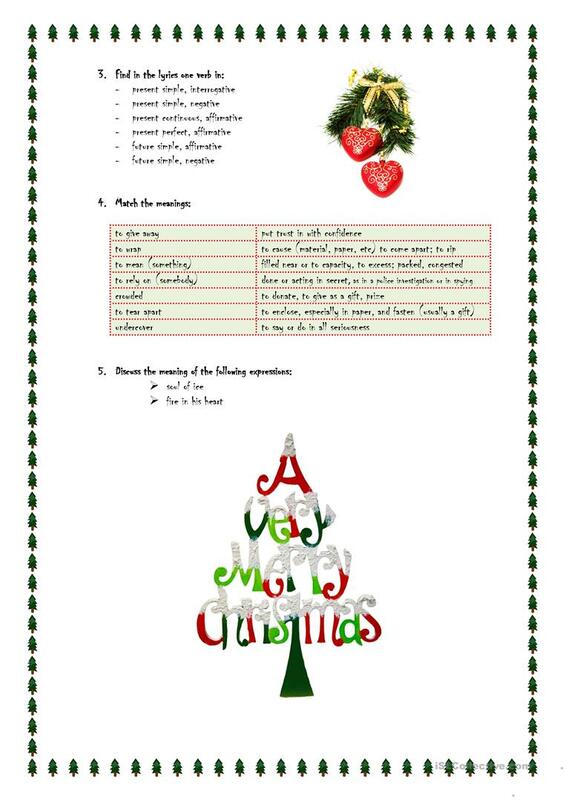 It is focused on the vocabulary topic of Christmas.